ZAre there any lovers of Indonesian cuisine? This week’s chill-out is beef rendang, yumyum. Click on this link if you want to know more. Below you will find the different chill-out dishes The Grass Company Spoorlaan has for week 24, 2018. 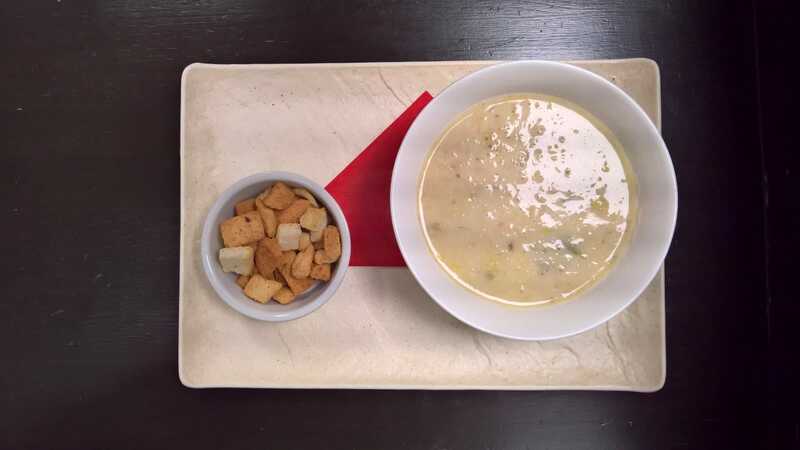 Mustard leek soup with bacon, bread and aioli. 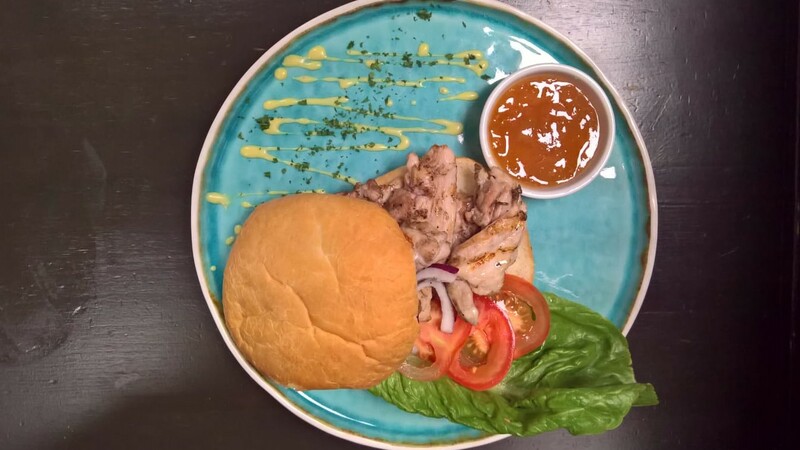 Sandwich chicken & mango. Roasted bread with fried chicken thighs, mango chutney and salad. 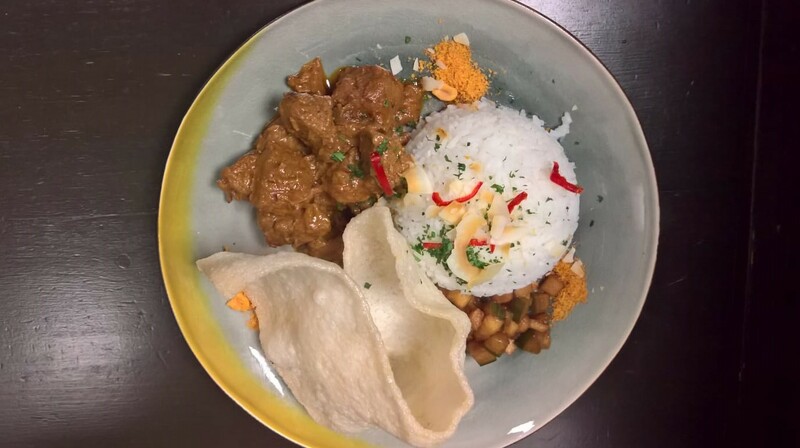 Beef rendang, the famous Indonesian stew with white rice, prawn crackers, roedjak manis and serundeng. 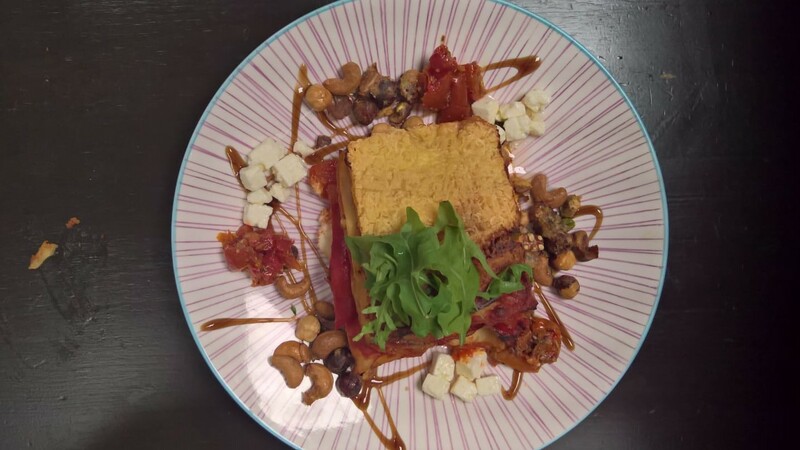 Grilled vegetable lasagne with goat’s cheese, walnut crumble and rocket. These weekly dishes are available until Wednesday the 14th of June at The Grass Company Spoorlaan. Click on this link if you want to have a look at last week’s dishes. Reservations are not mandatory but recommended if you want to be sure of a place.